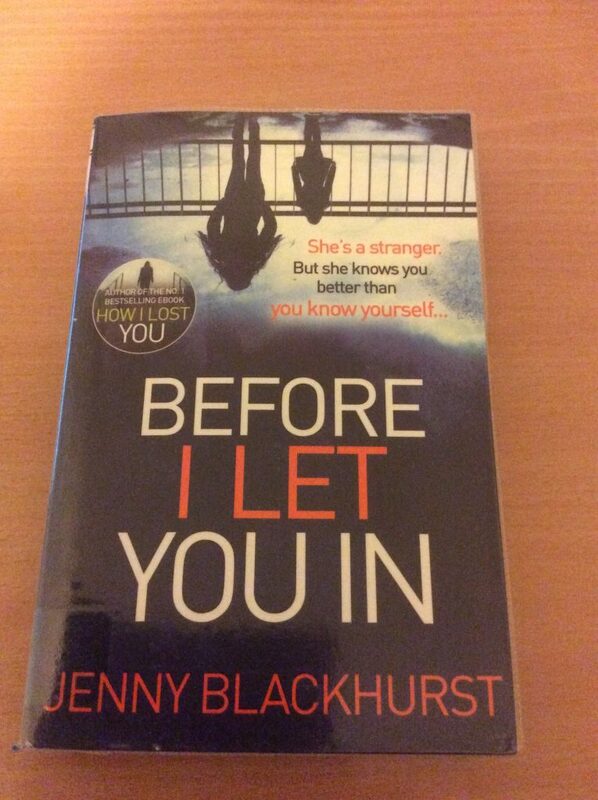 Before I Let You In by Jenny Blackhurst is a book I borrowed from the mobile library. This psychological thriller tells the story from the points of view of close friends Karen, Bea, Eleanor and one other unnamed character. Karen is a psychiatrist and sees her role as a friend who fixes problems. A new client, Jessica, turns up one day who knows things about Karen, her life and her friends, which unsettles Karen who wonders if she should have let her in. Okay, I don’t want to give anything away so I will tread carefully, which probably means I can’t say too much so will say how it made me feel instead. I liked the writing and the combination of friends with their different lives and problems. I thought it was well plotted and I enjoyed the way the story unravelled but I just wasn’t as gripped by it as I’d hoped I’d be, or as clearly a lot of other readers are. I’d still recommend it though. Those who like psychological thrillers should certainly give it a go.